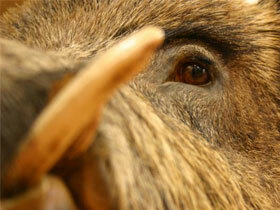 Plagued by hogs destroying your crops and damaging your fields? Shop Southern Hog Control's WebStore for all your needs to control or eliminate every boar, sow and shoat of the sounder. 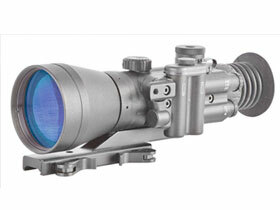 We have everything from traps to cameras and thermal scopes to help you scout, identify and eradicate your problem. The JAGER M.I.N.E. Trap system reduces time and effort while increasing your effectiveness. 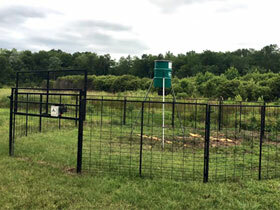 This feral hog trapping system will allow you collect intelligence and then remotely capture the feral swine from the comfort of your home or office. 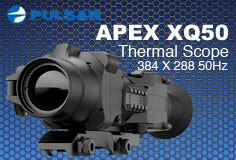 Thermal Optics are the ideal scope for hunting at night because it detects heat. The body heat of the target glows bright through the scope, while you remain hidden in the dark. 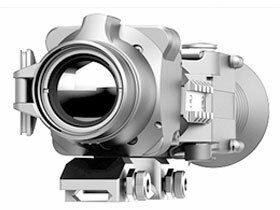 Conventional image intensified (I2) night vision scopes are more limited because they require illumination from moonlight or other sources. Plus, they can't reveal what's hiding in shadows or in low-contrast environments the way thermal can. Night vision is technology that provides users with some vision in total darkness and improved vision in low-light environments. The most common applications include night driving or flying, night security and surveillance, wildlife observation, sleep lab monitoring and search and rescue. Night vision is often used by the military and also has recreational purposes, like use on home video cameras or during night hiking.